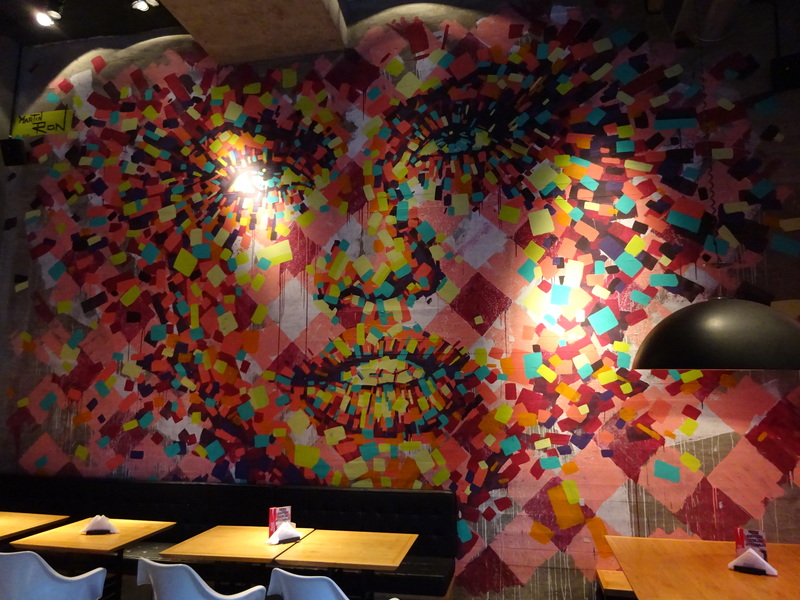 Street Art – It’s Not Just Graffiti Anymore! 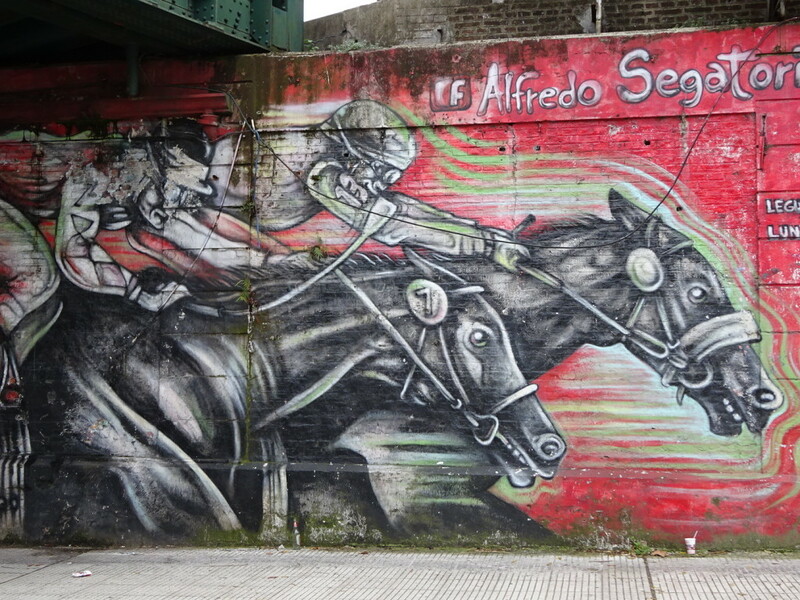 Posted on May 19, 2015 by No Map Required Posted in Argentina, Art, Art & Engineering, Places	. 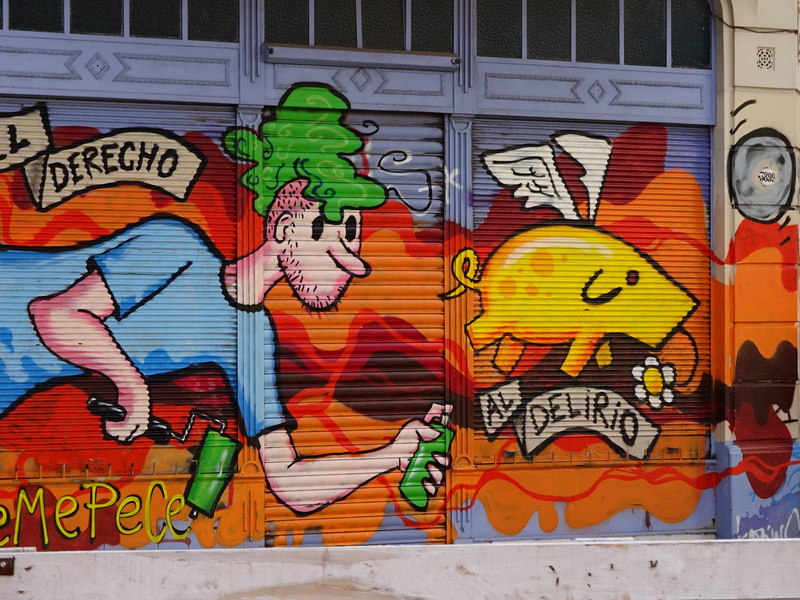 We know everyone is waiting for a safari post and we PROMISE it is in the works…but while we research adjectives, a final art post from Buenos Aires! On a school wall between the school and a homeless shelter…the school asked for a painting giving kids a feeling of safety and belonging. 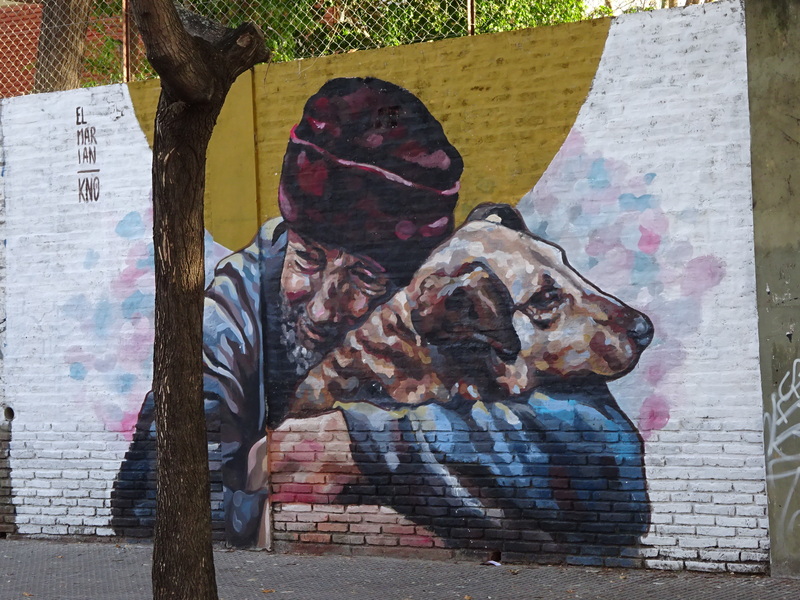 One of the highlights of our visit to Buenos Aires was taking a Street Art Tour of the city with BA Street Art. 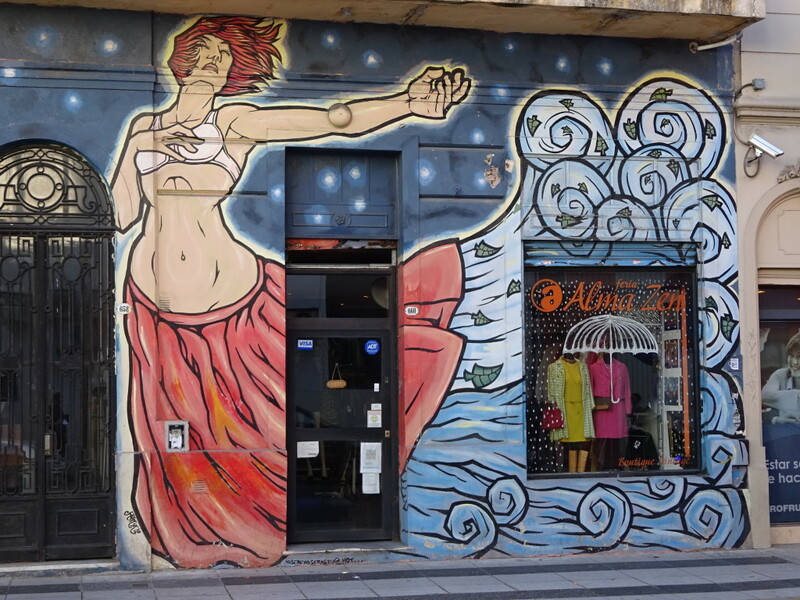 If you’ve been following the blog, you know I’ve been fascinated by city art before (Cuenca, Panama City, Santiago), but we’ve never had a guide along to give us the history and story of what we’re seeing. 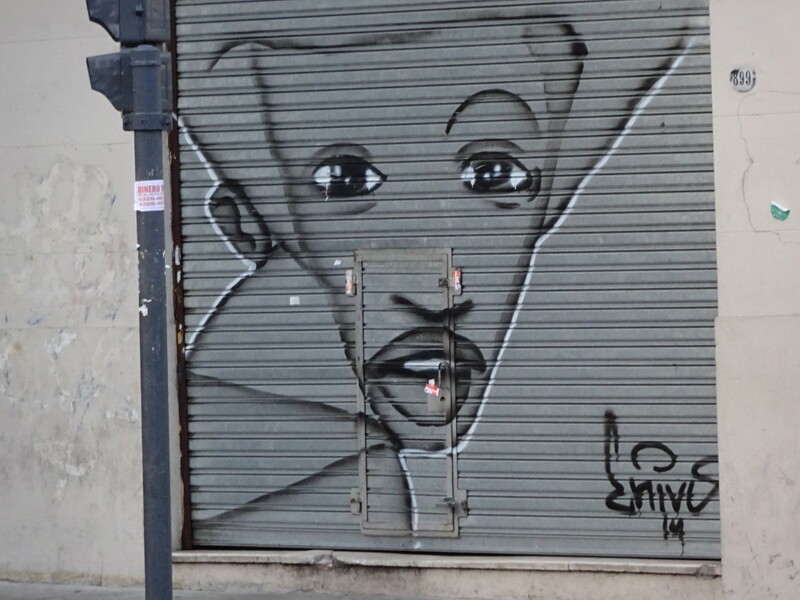 Well, Ollie, a transplanted New Yorker graffiti artist, certainly opened our eyes! 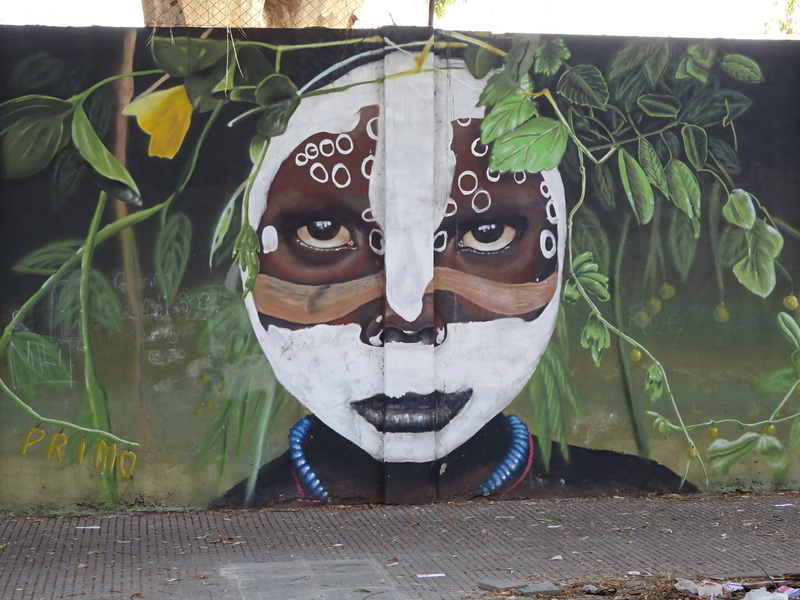 Ollie with a painting by Primo, a pair of cousins who paint mostly faces of black Argentinians for their beauty and as a statement on the slavery many were put under. First off, we learned the difference between “Street Art” and “Graffiti”. Graffiti is basically what we think of as tagging – spray painting (usually) with aerosol cans of names of people or the gangs they are affiliated with. That’s DEFINITELY the most common thing we see in the US. 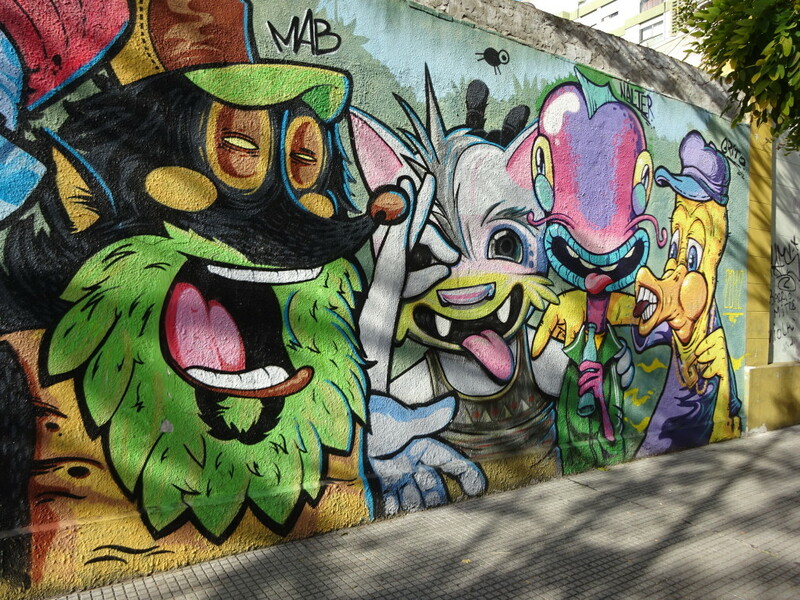 It can be artistic, but graffiti’s focus is on words. 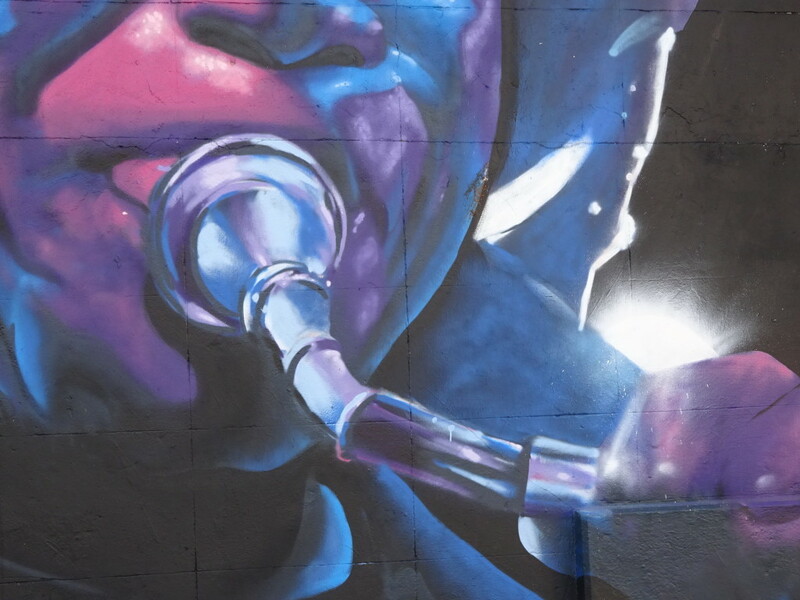 Street Art has much more in common with traditional painting, as it can use oils, acrylics, etc. 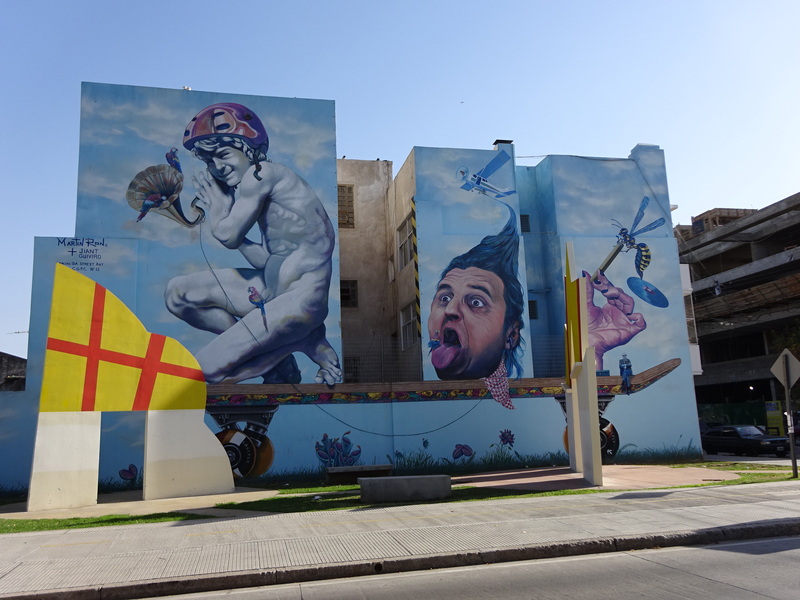 as well as aerosol cans, with the big difference that it is painted outside on buildings, walls, sculptures, etc. 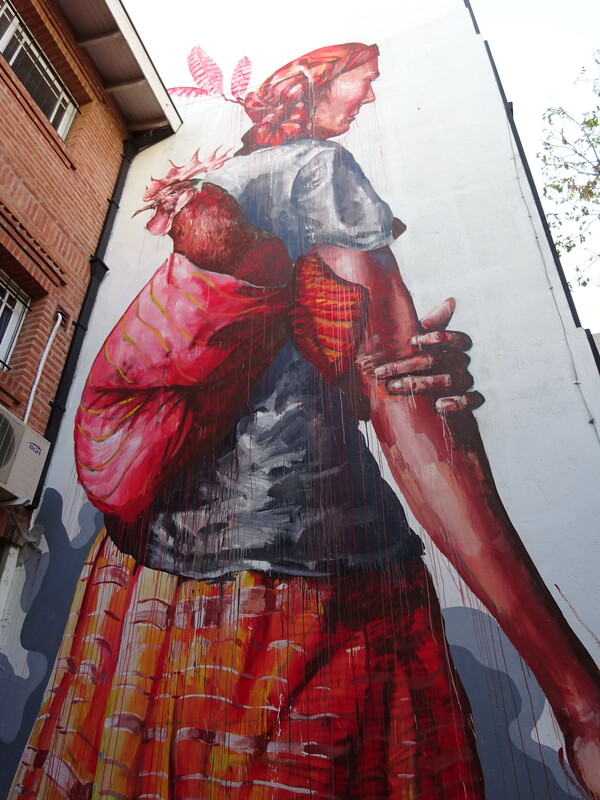 Street Art often takes the form of political messages or opinions on society. 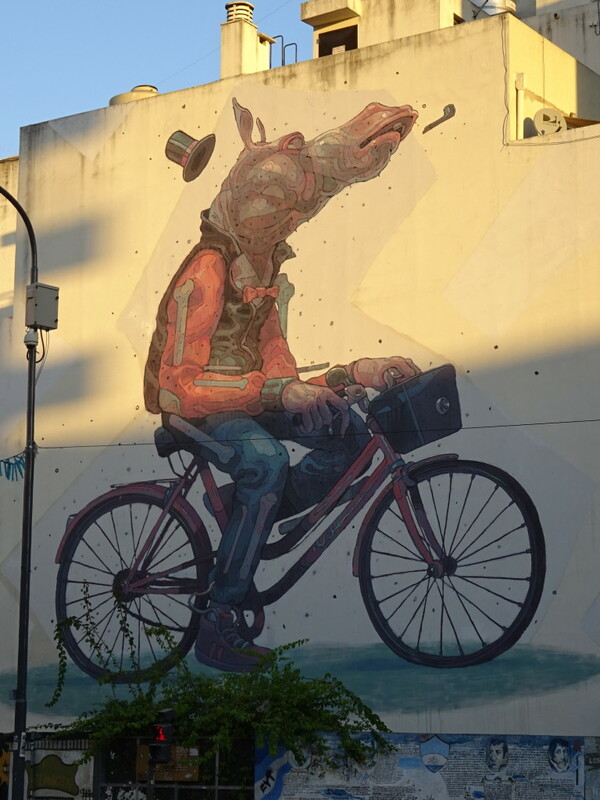 Almost a block long, this piece by Blu gives his take on man being just a cog in a machine of work. Painted 3 years ago, it is already starting to age. Love that it’s in a little sculpture park in the downtrodden neighborhood! Of course it can also just be fun! These 5 artists got drunk one night and decided to paint fun, cartoony images of themselves! 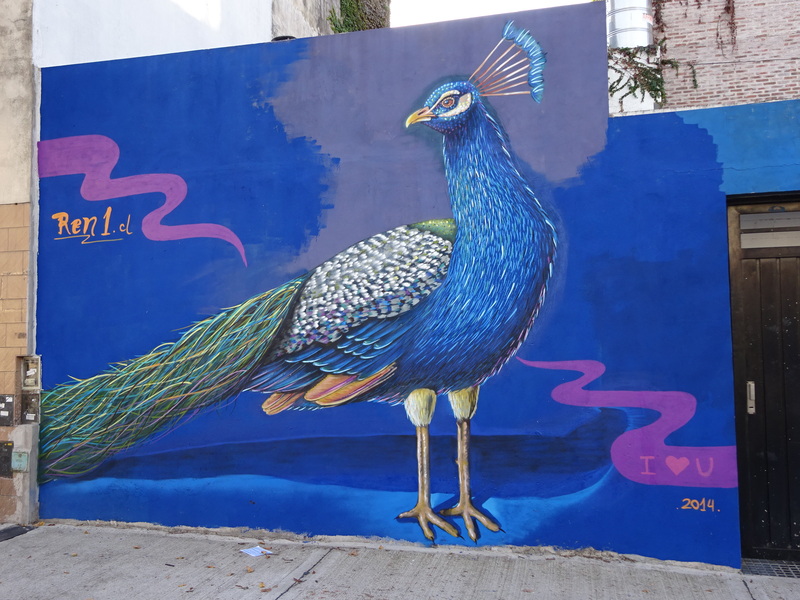 Who doesn’t appreciate a fine peacock like this one by Ren? 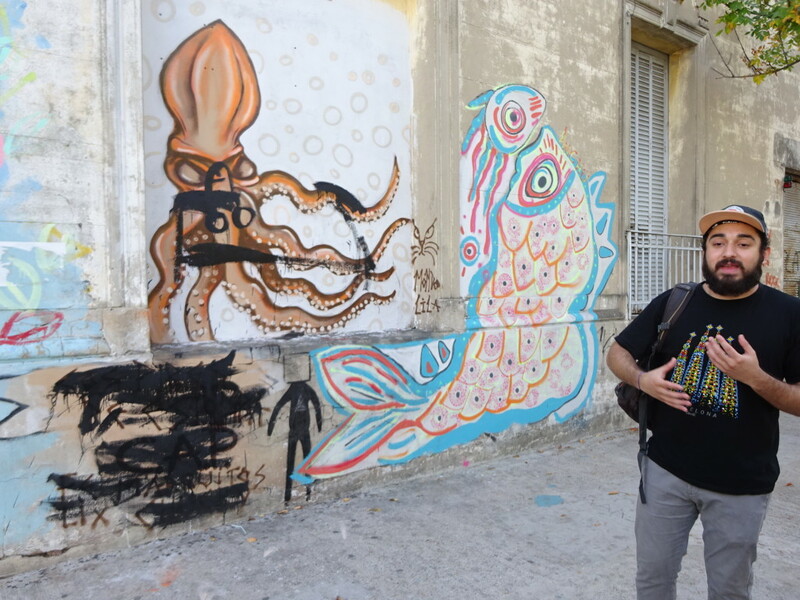 BA, it turns out, has become mecca for street artists due to the REALLY lax laws about painting. As long as you aren’t painting on the sides of the new trains (which can run fines up to a few thousand dollars), all you have to do is ok it with the owner of the wall you want to paint and away you go! No neighborhood association rulings here. 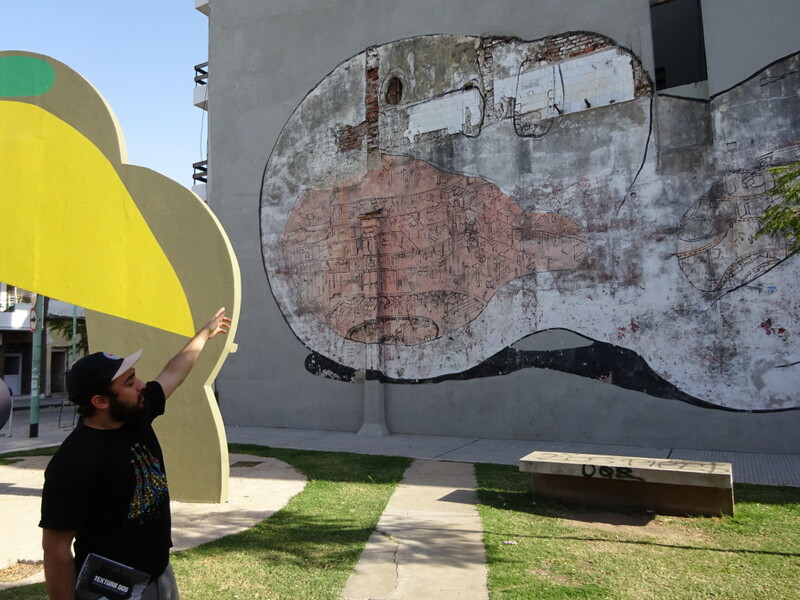 In fact, quite a few folks try to find artists to paint their walls because if a wall is covered with street art, usually the graffiti artists will respect the art and not tag over it. Well, as long as your art doesn’t support a rival futbol (soccer) team or political party – then you’re just asking for it! At 2 stories high and a block long, this one took about 5 days. Inside a restaurant, this one was paid for, I believe. 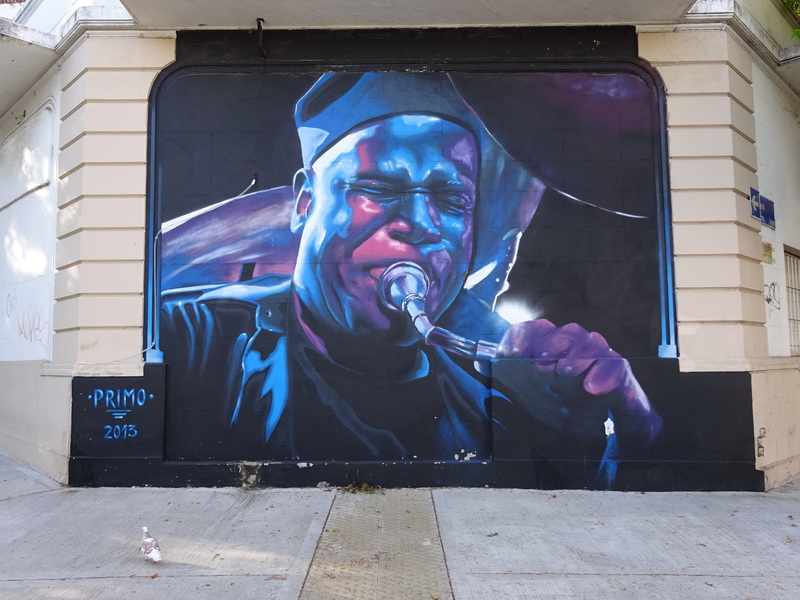 International artist Magee came over to paint this giant 3-story piece. 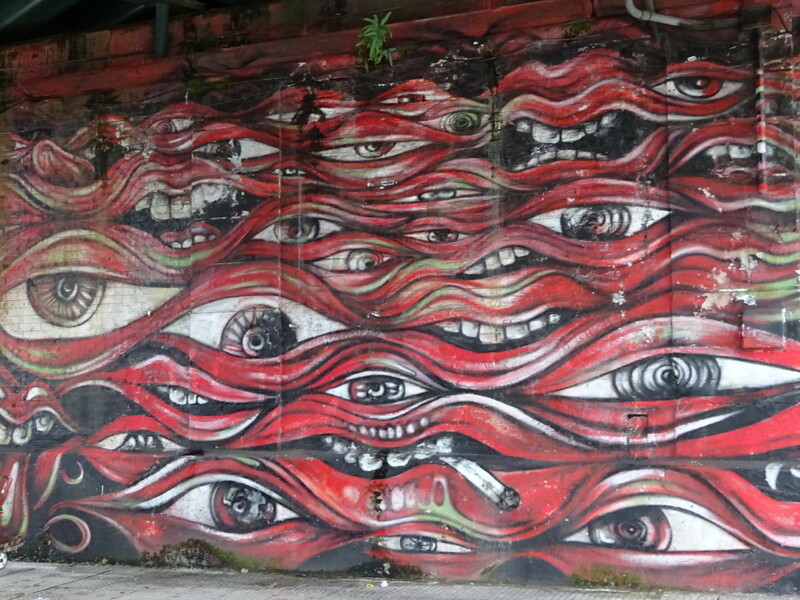 He uses a distinctive dripping style. – rarely do the building owners have much say in what gets painted! They can ask, but it’s really the artist’s vision. On the side of a music school. 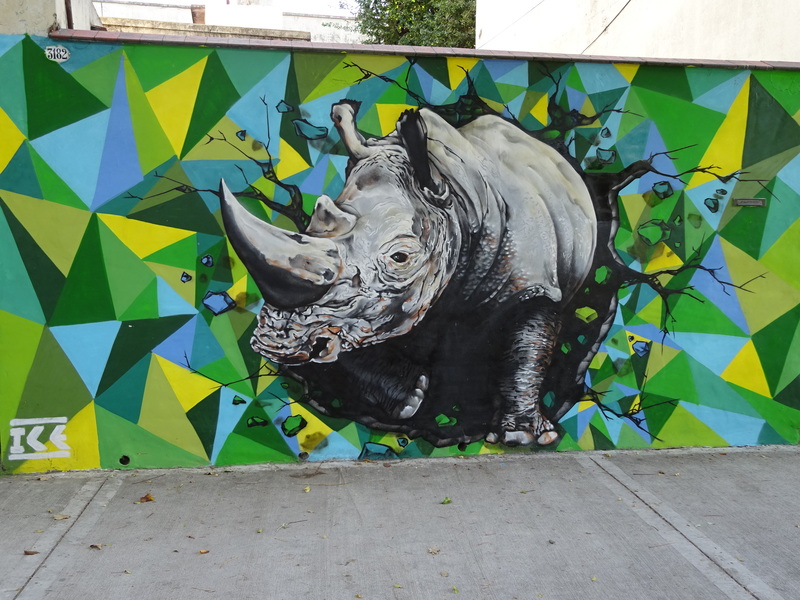 Absolutely mind-blowing what can be done with spray cans! 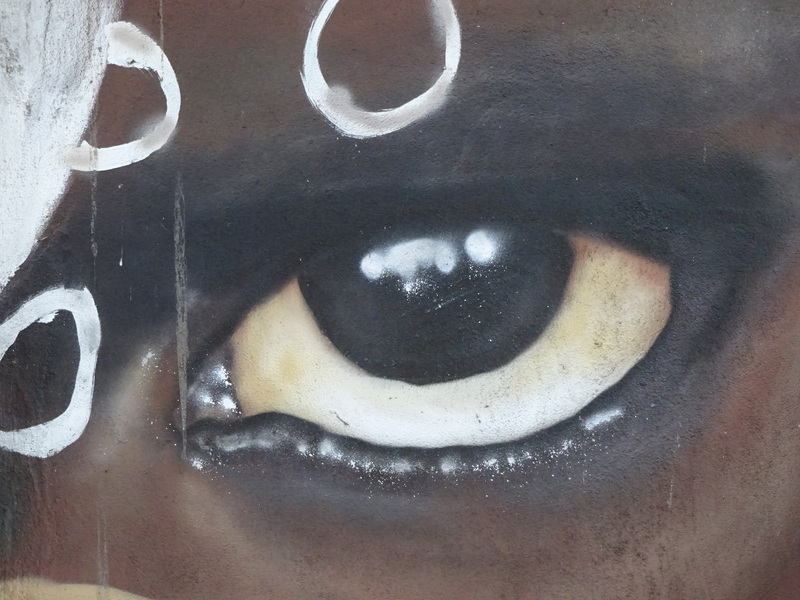 – rarely will street art get retouched if it gets damaged. The artists accept that their work is relatively transient…quite different from traditional artists who, I think, imagine their work will last and last. – pretty common for the artists to sign their work and include a contact via email or facebook! It’s a way to get known and to solicit commissions. Parrots. If you look at the bottom left, you can see the contact info for the artist. 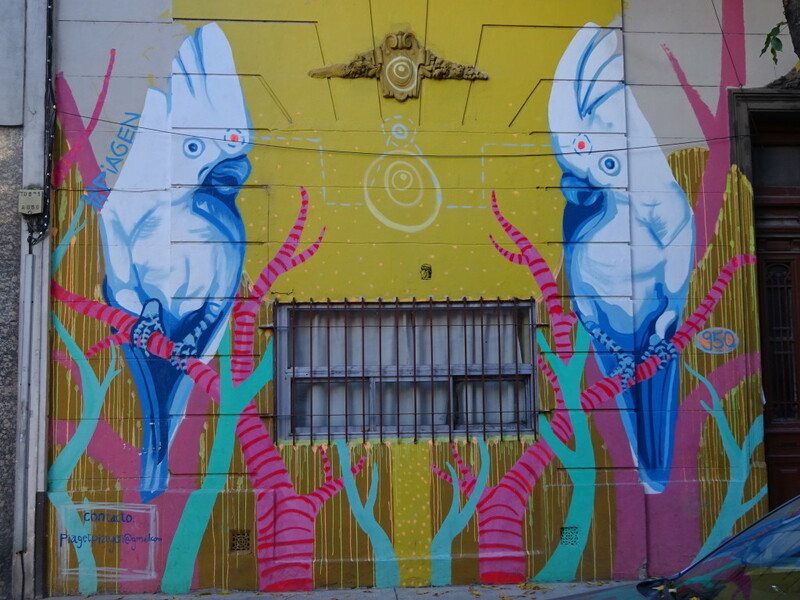 – unsurprisingly, much of the street art is found in more developing neighborhoods, but the city has found that the more street art there is, the more folks are drawn to the neighborhoods, so it has had a revitalizing effect! Love that!!! Just fill those walls with art, please! Thank you! Three incredible panels by Martin Ron! 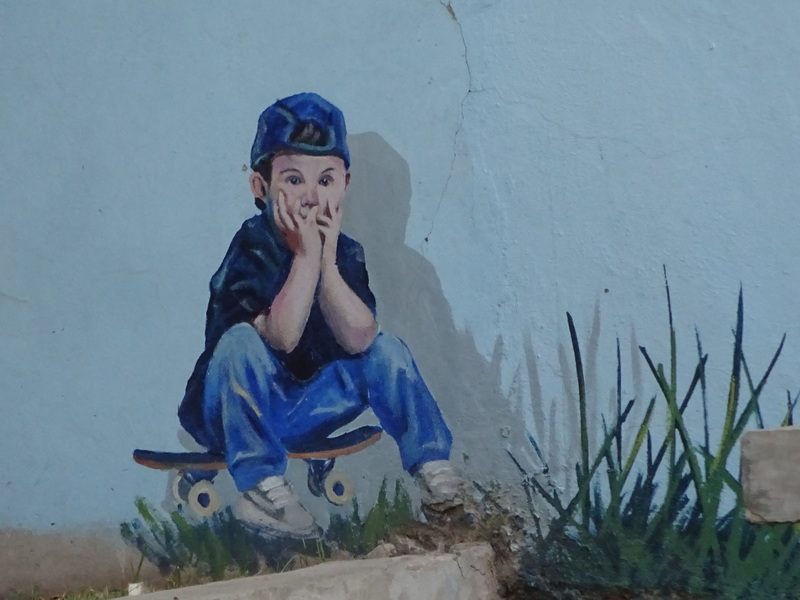 Detail of Martin Ron’s mural – this boy came by to watch while Martin was painting, so he just added the boy in! Those are the kind of stories we heard on the tour that we would never have known on our own! Now a few more pieces that caught my eye – some on the tour, some we just found wandering. 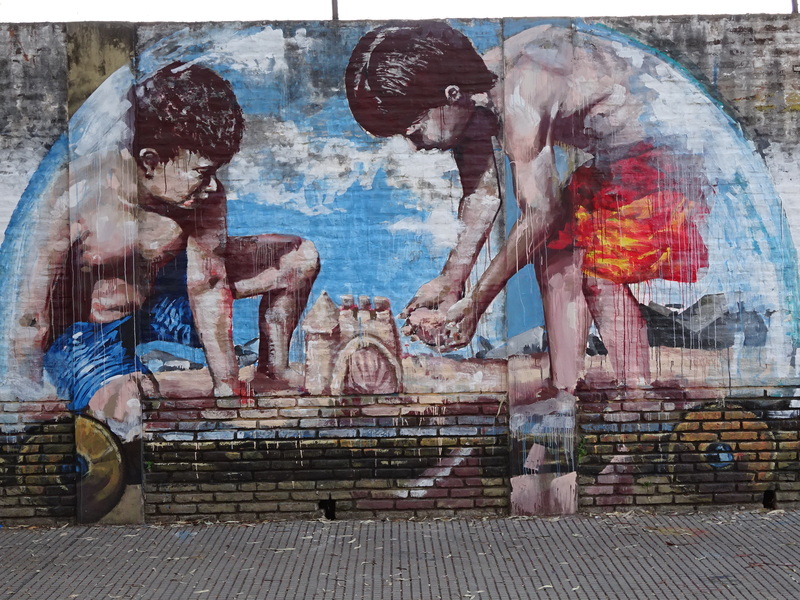 Another piece on the school wall – boys playing in a protective dome. Stumbled across this one around a store and our jaws just dropped. 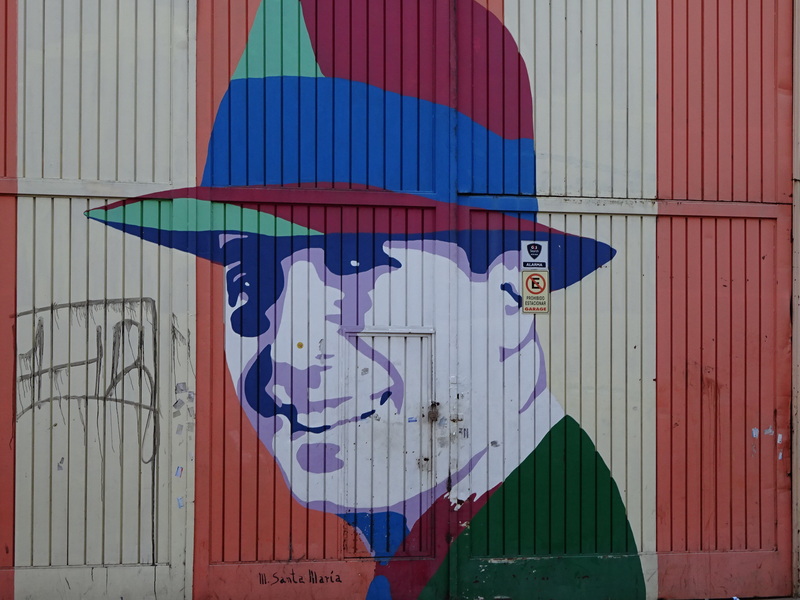 One neighborhood had a bunch of pieces showing Carlos Gardel, an old star of tango dancing! 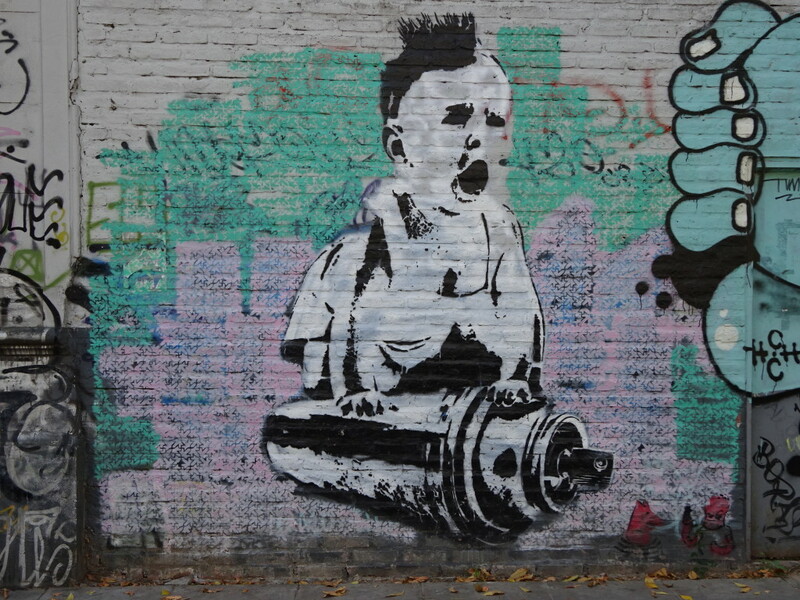 What could be more iconic to end things with than a punk baby on a spray can??? And there you have it – my final art post from the Americas. Can’t wait to see what Africa brings! Spectacular work – original, striking, and beautiful…Thank you for these! My pleasure. Truly! I took a bunch more as well, but there’s only so many photos that seem to fit in one post. Perhaps they’ll turn up in some future ones… Glad you like them! 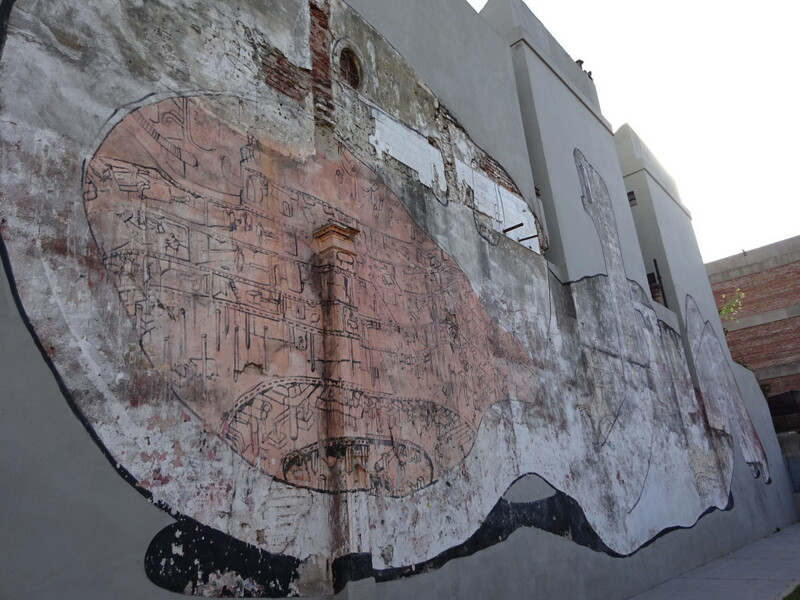 Pingback: No Map Required | Cape Town has Street Art, too! 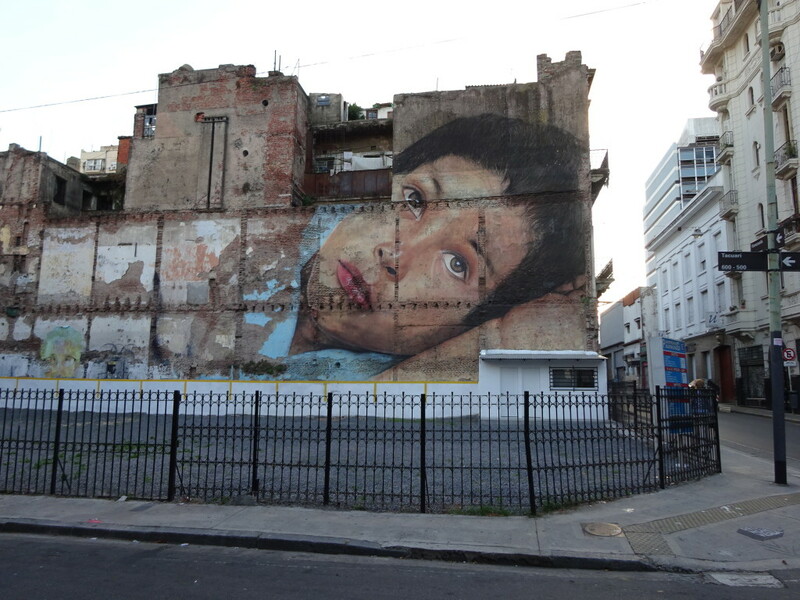 Pingback: No Map Required | East London, Where the Streets are Filled with Art! I really like those photos. But i also have a question: I’d like to use those pictures in a slideshow. Which license do you use for your pictures/photos? Hi Stefan! Glad you like my photos. May I ask what your slideshow is for? 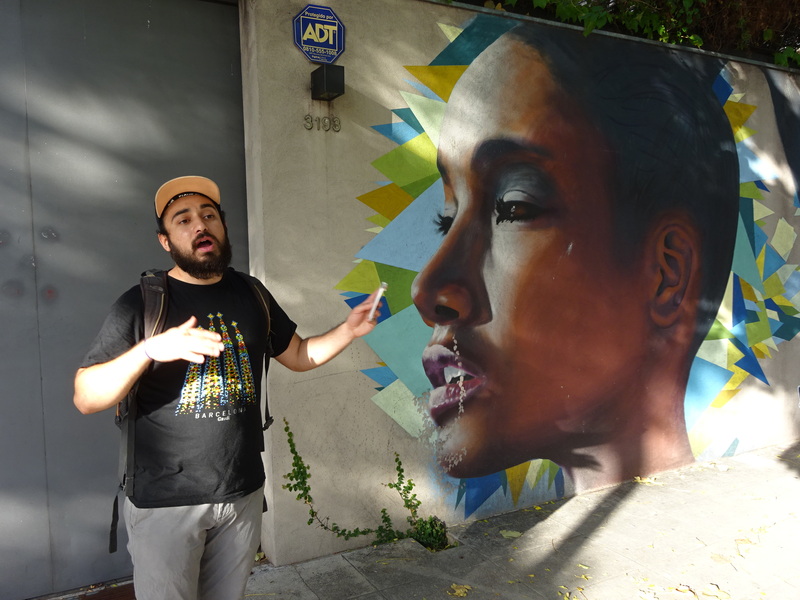 Always interested in how folks talk about street art! I’m happy to use https://creativecommons.org/licenses/by-nc/4.0/ for the license. i play in an accordion orchestra. We usually have one concert every year with a specific theme. This years theme is art. I tried to find different pieces of art which are at least in some way related to the songs we play. The slideshow is in the background while we play. Neat! Please use my photos if they work for you.